Life is full of problems, chaos and catastrophes, no one is exempt. During these times we often reach for things to help us, or even numb us, but we often fail to reach for God. While a temporary moment of pleasure can found in the bottom of a tub of ice cream, there is no power to truly help us. However, there is One who can. "God's power provides the heart with everything it needs." No matter what trial you are facing, no matter what hardship finds its way to your doorstep, God and God alone has everything you need. 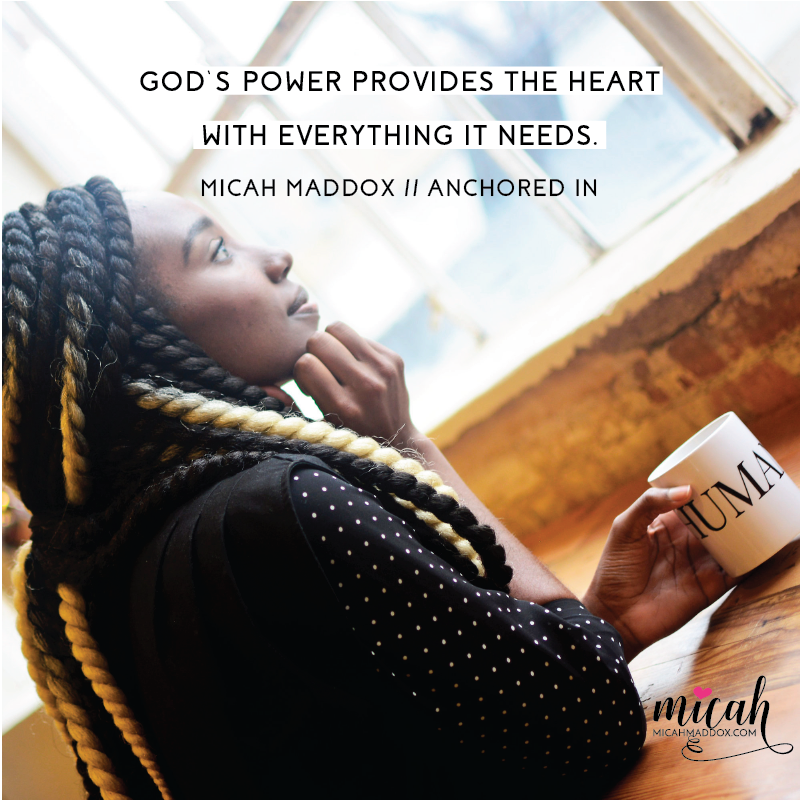 In Anchored In Micah shares openly and honestly of her own trials, reminding us that we are never alone. She gives us the tools we need to anchor into the Father through it all. Anchored In isn’t a book of Christian cliché’s or sweet stories to warm the heart, but rather it's an authentic look at the hard parts of life. Micah shares personal stories, such as her father’s abandonment of her family, and couples them with Biblical application to offer real-life glimpses of God at work. She offers inspiration to live a life full of God’s power rather than one that causes us to turn away and be paralyzed by problems. No matter what storm is brewing in your life, no matter how hopeless things seem, pick up a copy of Anchored In and let Micah remind you how to anchor yourself to the Father.